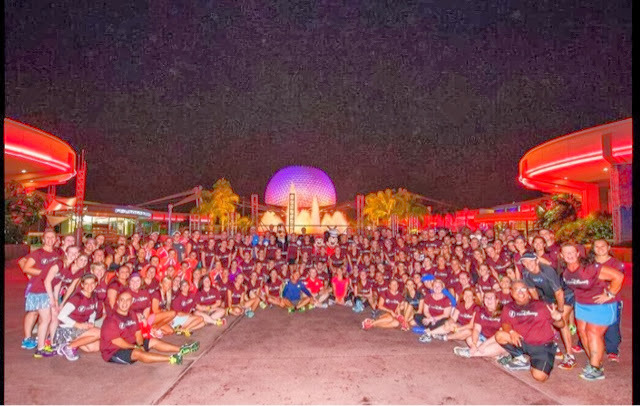 Tonight 125 lucky runDisney runners met up at Epcot to celebrate the Wine and Dine Half Marathon Meet-Up. 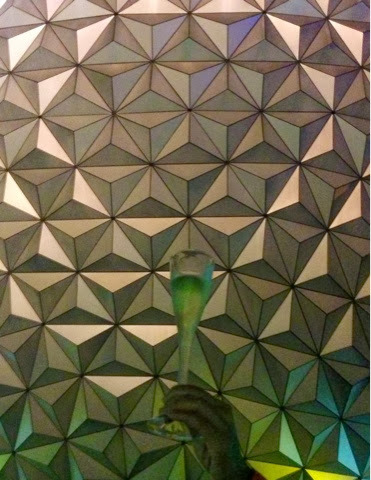 The event started off with early check in at Epcot. 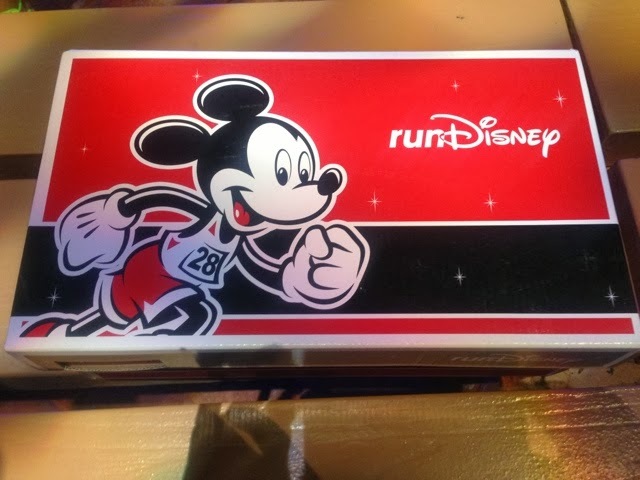 Participants received a ticket to the park, a fast pass for Test Track, and the fantastic event specific runDisney shirts! DisBroad Tania and I lined up early, picked up our swag and hit the park! After a spin around Test Track we made a quick stop to grab a drink and something to eat. I’m sure y’all know where. 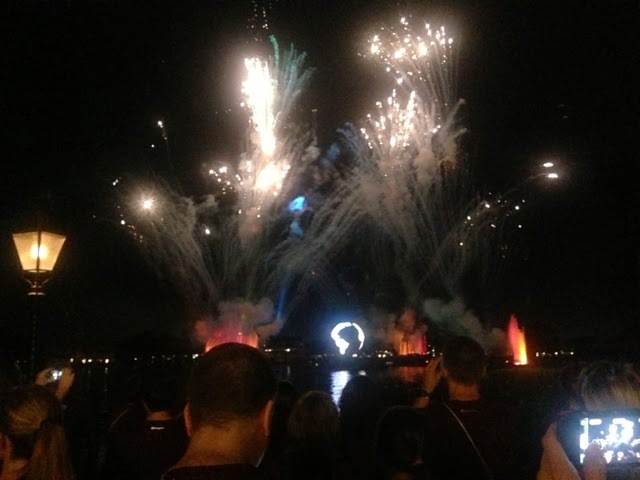 Soon it was time to watch some Illuminations. We were told to meet at the Mexico vista, but no one really knew where that was! Moms Panel Hopeful Fail! We finally found the group and headed over to our viewing spot. This was my favorite part of the event. 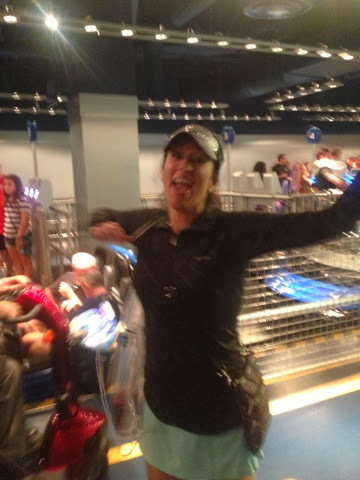 You know I’m not so much a fan of running as I am of the runDisney people! So many blogger, twitter, and Facebook friends were lucky enough to get into the event. I got to hug some of my favorite people for the first time and loved it. We had to wait around for a bit as the parks cleared of guests. We then headed back to the American Pavillion for food, wine, and the speakers. 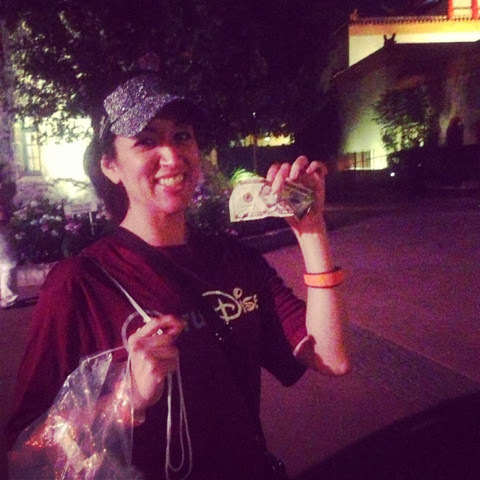 Tania scored big on the walk over- anyone drop $5? 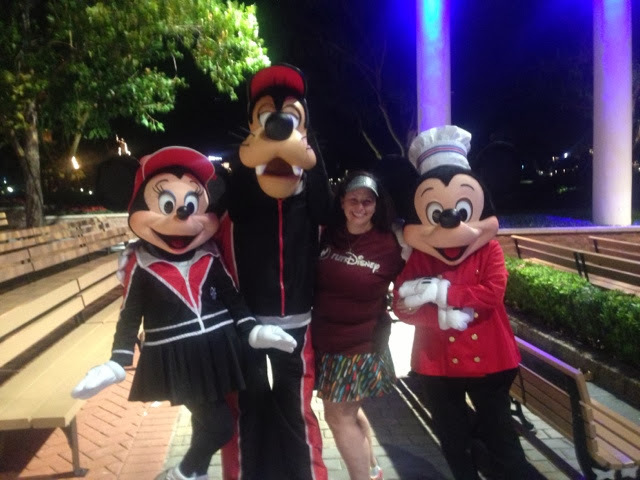 We found Mickey and friends. 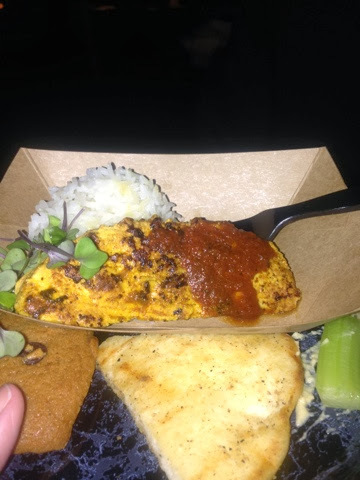 Got some great Food and Wine Festival grub. Did you know there’s vegan wine? 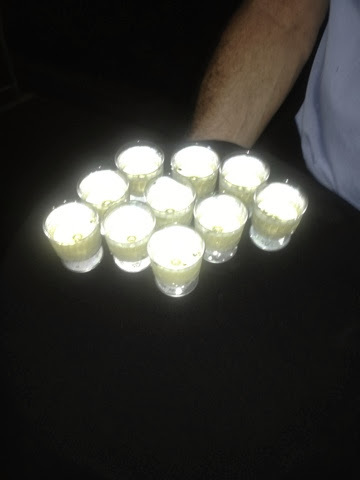 We sampled some last night along with a vegetarian dish that tasted a lot like chicken. New Balance talked about their new shoes coming for 2014. No sneak peeks but they did share the new box design and some fun accessories coming: inserts specific to each race. After the presentations, it was time to run! Honestly- bah. I’m not a night runner anyway but after the good food and drinks the last thing I wanted to do was run. But I grabbed my pacer RunMel (it’s his birthday by the way!) and off we went with the Galloway group. After the run, we stopped for a group picture and headed out the front of the park. 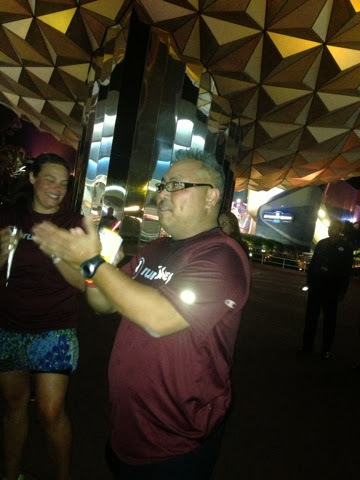 Just under Spaceship Earth, we shared a runners toast of champagne including a wish that our splits always be negative! Loved it. 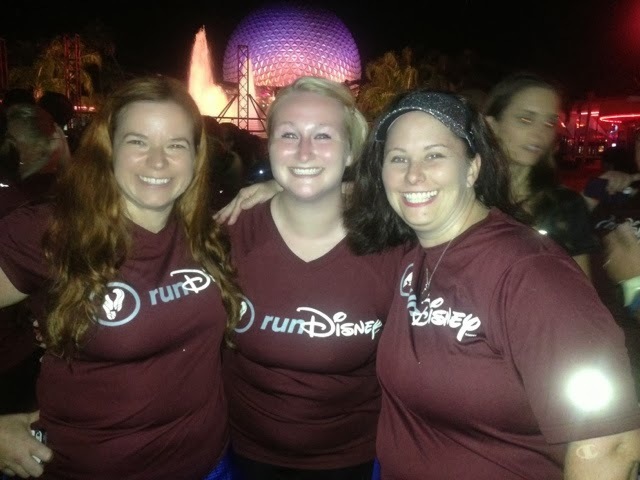 runDisney put together a fun night after hours at Epcot. Thanks for inviting us and hope you continue to offer these great events! That sounds like SOOOO much fun! Disney sure does spoil. I’ll be at the Atlanta meet-up next weekend & can’t wait to see what they have in store! Can’t wait to hear about it! Say hi to DisBroad Amy and Julie! So glad you and Tania had fun! That sounds like SO MUCH FUN!! 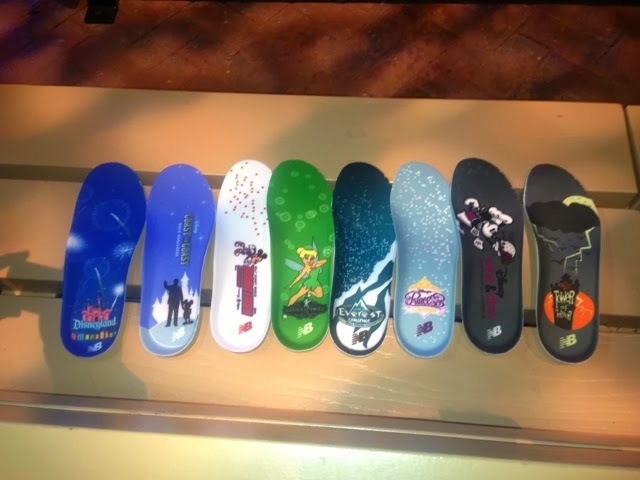 I can’t wait to see the new shoe design!! Crossing fingers I am online at the right time if they do a Princess weekend meetup. What fun! Follow the blog about 2 weeks before the race! looks like fun, although I don’t know if I would be up for running eithr after the food and beverages! Yeah- it was rough. But so magical to run through the park at night! Loved it. That sounds awesome! I’m hoping to get in for January. Good luck at the races. Good luck! Worth trying to get into for sure! Fun times! I hope the RunDisney shoes are easier to come by than they have been. I got mine as a total fluke. Now that more people know about them, demand will be higher! I’m sure they will be but also pretty sure New Balance “gets” us now. Lol. Should t run out! It was a wonderful night and I’m so glad we got that awesome photo together! Good luck at the race tomorrow!! Thanks April! I lived seeing you again! Tink? Princess? Yes and Yes (ouch my bank account!!) I’m doing the 10k and Half at both of them. 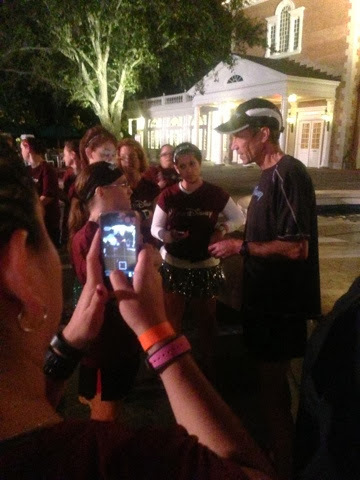 My big runDisney goal is to get out of my shell a little and be more social next time! I am pretty sure I saw Julie and Amy at POFQ but didn’t say hi because it felt wierd and stalker-ish, LOL. Dumb, I know! Hope to stalk, I mean see you at Tink! Whoohooo! Sounds fantastic Patty! 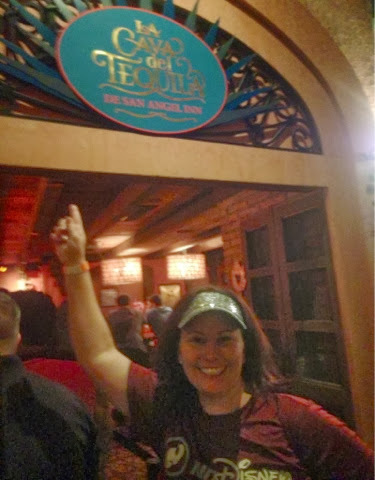 I’m already preparing myself that I won’t be able to do the RunDisney meetup for the Princess b/c of time constraints, but I’m determined to meet up with the blogger friends I have made over the weekend! So jealous you got a picture with two of my favorite peeps, Meg & April! Meg and April are even more fabulous in person than online! Love these girls! DisBroads are planning a get together at PHM so I hope you can come! I know- cant wait for tink and meeting new/old friends! Oooo, what a fun event. I am really really really hoping I can get in for the Tink meet!!!! 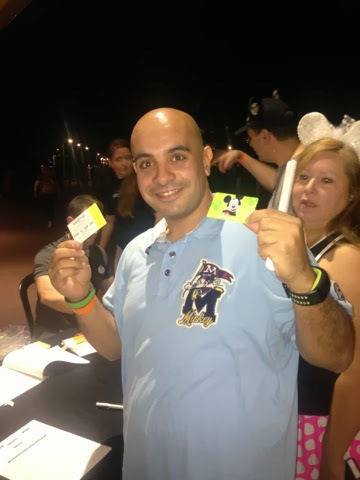 Tink was an awesome meetup- good luck!